As the world watched, Hurricane Harvey parked over Texas and Louisiana for six days, dumping a staggering 27 trillion gallons of water. Some bayous in Houston recorded over 51 inches of rain from August 25th through September 2nd, more than the average rainfall in Houston for an entire year. The onslaught of water brought with it once-in-1000 year flooding and along with it, many challenges. Headquartered in Houston, Better World Properties LLC and the Better World Family of Companies had a unique view of Harvey from the front lines. The Good News? We’re Still Here! The team at Better World Properties LLC has been through many natural disasters before. Perhaps nothing quite like Harvey but yet, quite familiar. 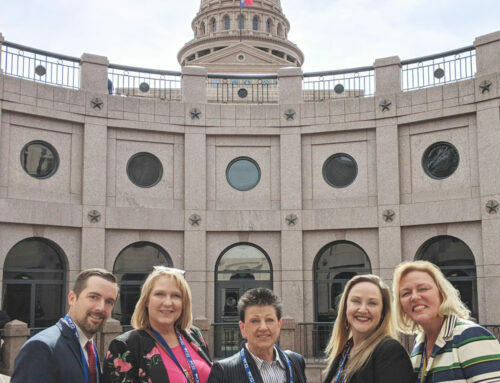 Staffed with veteran multifamily management, we were able to respond quickly to rapidly changing conditions and share news with residents, owners, others in the multifamily industry and the media. Michael Knight, Vice President of Better World Properties LLC, a former Point of Distribution (P.O.D) manager for FEMA during Hurricane Ike, has been instrumental in helping to orchestrate this process. 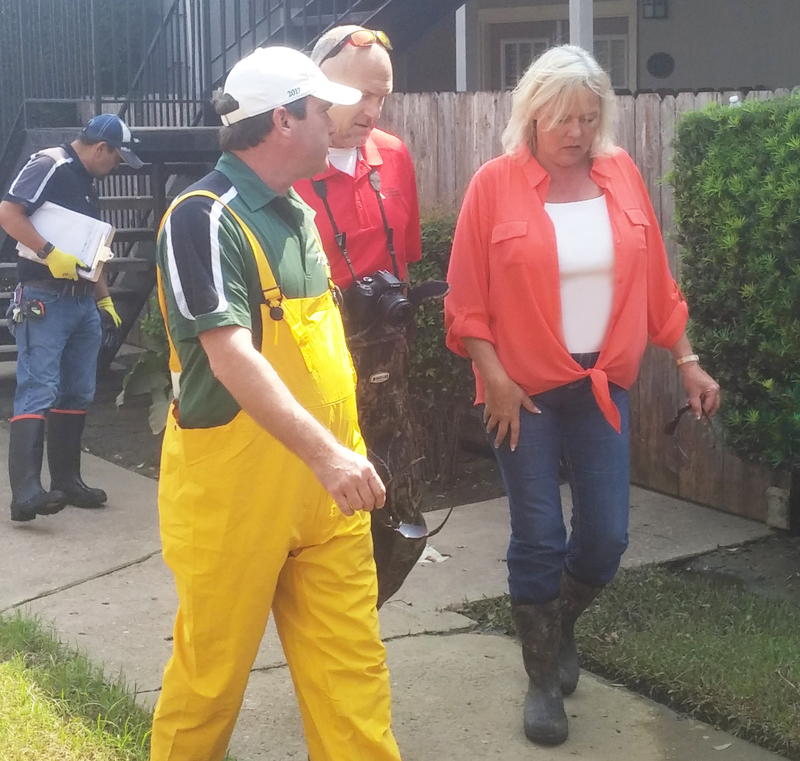 Terri Clifton, President of Better World Properties LLC, walks properties after Hurricane Harvey. The Better World Properties team crisscrossed the Houston area from north to south, and east to west and made a trip down the coast closer to where Harvey made landfall near Rockport where wind damage was more of an issue than rising water. As the record floodwaters began to recede in Houston, the local community and the world rose in a very big way. 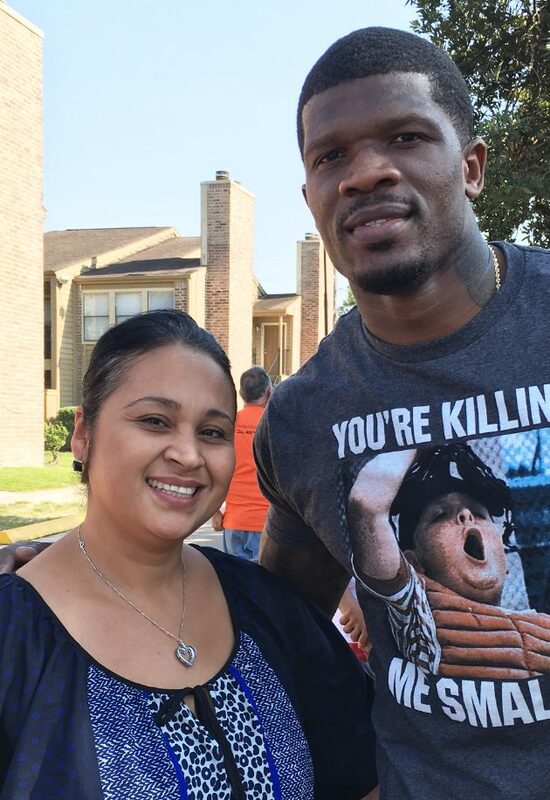 Andre Johnson, retired Houston Texans all-time leading wide receiver, showed up on property with his team and a U-Haul full of bottled water and hot comfort food including Texas brisket, corn and white bread. There’s nothing like a little Texas barbecue to sooth a weary soul. Retired Houston Texans wide receiver Andre Johnson provided smiles amid Harvey relief with a U-Haul full of Texas comfort food and bottled water. How Much Damage did Harvey Do? 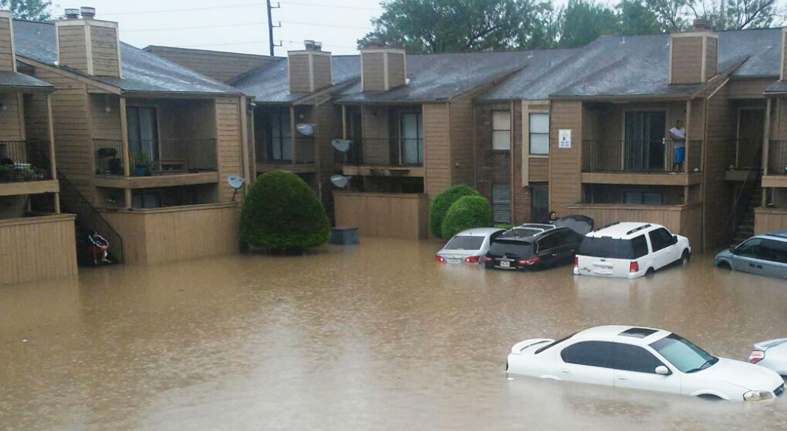 As for quantifying the damage to multifamily properties, everyone is searching for answers. Our rough calculations based on direct observation, discussions with other owners and management companies suggest tens of thousands of units are out of service. 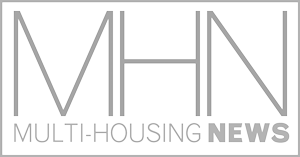 The Houston Apartment Association (HAA), in conjunction with Apartment Data Services, is conducting a survey to fully assess this. Currently, it appears many properties within the 500-year floodplain in Harris County were affected. Recent flood mapping and our observations support this. So, it is likely everything in the 100-year suffered some degree of flooding. Consider also that this flooding was extremely widespread over multiple counties, most of which have not been studied as closely as Harris County. Past events have tended to be more localized. Harvey impacted most everyone in the region from Corpus Christi to Beaumont and 75 to 100 miles inland – and that’s just Texas. Most of the damage from Harvey was from winds along the central coast and from flooding throughout the northeast quadrant of the storm. Thankfully, Storm Surge was minimal. This typically only affects areas within a few miles of the coast and is historically the most damaging as walls of ocean water are pushed up over land. The water forcefully rushes in, then pounds you again as it rushes out. The debris it carries compounds the danger and damage. Storm Surge is what killed 6,000 Galvestonians in 1900. For those with flood and loss-of-rent insurance, Harvey will be more than survivable and a better world is just around the corner. Those without these buffers will be faced with paying for repairs little-by-little out of the cash flow generated by functional units. Lenders, of course, must be paid first. The financial strain for some is likely to become too much. Conventional wisdom for older properties that are adequately insured is insurance proceeds after a catastrophe provide a capital infusion that can result in increased rents and value. Experience shows this is most true with fires and less true with floods. What is true is that managing the claim process is critical. A significant challenge here is managing cash flow. Bills add up quickly and laborers must get paid. Insurance advances are available, but one must get in line quickly. For significant claims, Better World Properties LLC routinely engages a public adjuster to help protect interests. We find the fee for this service has always been a good investment. Good public adjusters use the same data, tools and guidelines that most insurance companies do. They know the players and the system. The difference is thoroughness. One of our carrier-assigned adjusters was assigned 170 cases to investigate before he even arrived in town. 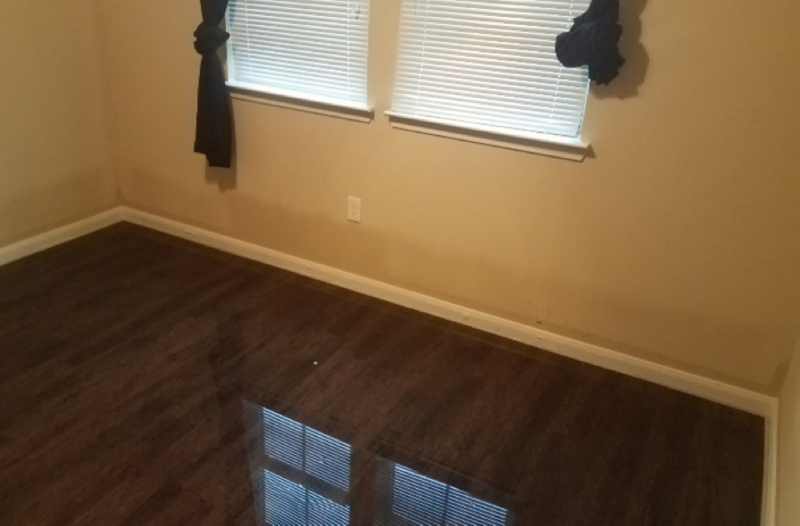 It didn’t hurt that our professional adjuster was already waiting for him with initial assessments, moisture readings and a proposed plan of action. Having an ongoing relationship with such experts helps ensure your properties remain a priority. Currently, adjusters are in short supply, and with Irma’s additional path of destruction, this challenge is exacerbated. We commonly suggest that our residents carry renter’s insurance to cover their personal belongings. Unfortunately, many are learning for the first time that most policies exclude flood, or as it is often worded “rising water”. Lesson learned. Vacant apartments are filling fast and leasing specials have disappeared. What we are not seeing is a noticeable spike in rents. Texans would not consider that proper. With tens of thousands of dwellings in the region impacted, many are searching for housing alternatives. Flooded homes fall into two categories, those that are habitable, and those that are not. After an event like this, we officially consider a multifamily unit habitable if it is closed-in, dry, has utilities, a working A/C and essential appliances. It does not need to have carpet, sheetrock, baseboards, or insulation – some green-board between units is all you need. Most residents are anxious to return to their home, and many have done so already. They are generally understanding about flooring and sheetrock. This is the situation with the vast majority of flooded homes. Relocation for most people is only an issue for a few weeks. In apartment communities, simply moving upstairs is often a viable option. Where damage is more extensive and relocation becomes a necessity, a new apartment is the obvious choice. Undamaged, or lightly damaged communities are slammed with calls. A number of these calls are coming from single-family homeowners seeking short-term housing. The key to success now is speed. 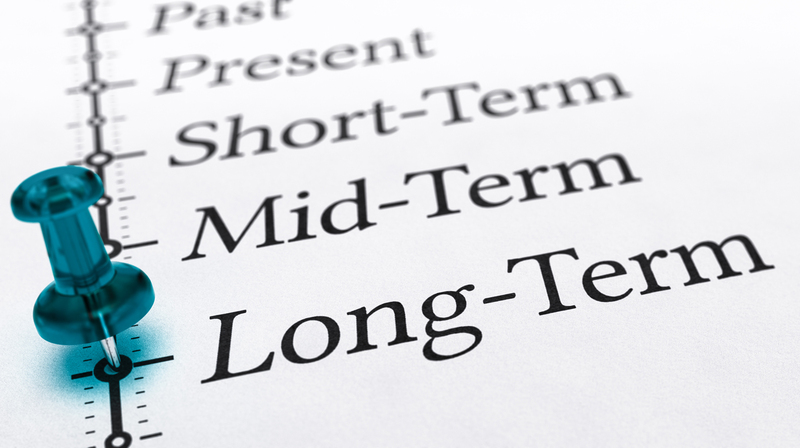 Loss-of-rent insurance coverage typically only lasts six months – if you have it. Eventually, most apartments will come back on line. Those that get there first will fill up. While most of the focus is on repairing flood damage, make-readies for vacant units is actually a greater priority. With the amount of vacancy in the market as of late, there was little pressure to turn units. All that changed suddenly and crews are now scrambling to prep for the influx. At certain levels, people are taking units as-is. The next challenge will be the smell. Odor is a powerful trigger and humans have an instinctive aversion to what comes after the wet. It’s a natural defense mechanism. Too much, and people will want to get out. How much is too much is always a divisive question. As the Harvey crisis abates and people settle in, the process of rebuilding will continue for months. While unskilled demo labor is plentiful, the skilled labor needed for installation work promises to be harder to come by. Then there will be the material shortages – everything from sheetrock to appliances will likely be in short supply. 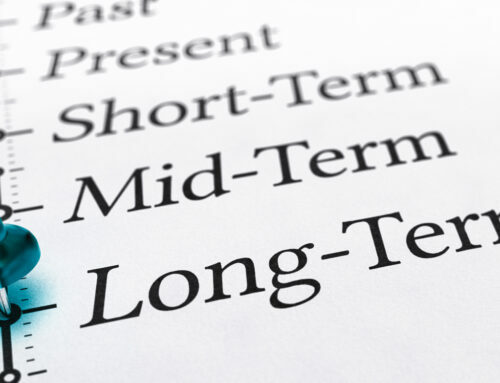 Longer-term, market fundamentals will still rule. Most permanent jobs are still here and temporary work will surge. There is no general feeling of despair, and few are anxious to leave town. From a macroeconomic point of view, Harvey will require everyone to work a bit harder thus increasing the GDP for the region. 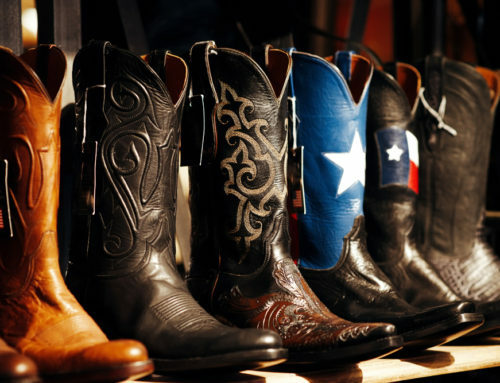 Some may be reluctant to relocate to the area immediately, but this concern will fade as people put this event into perspective, witness how quickly Houston recovers, and recall the abundant benefits of doing business in Texas. Investor calls to the Better World Properties LLC offices are evenly split between those anxious to get out and those anxious to get in. 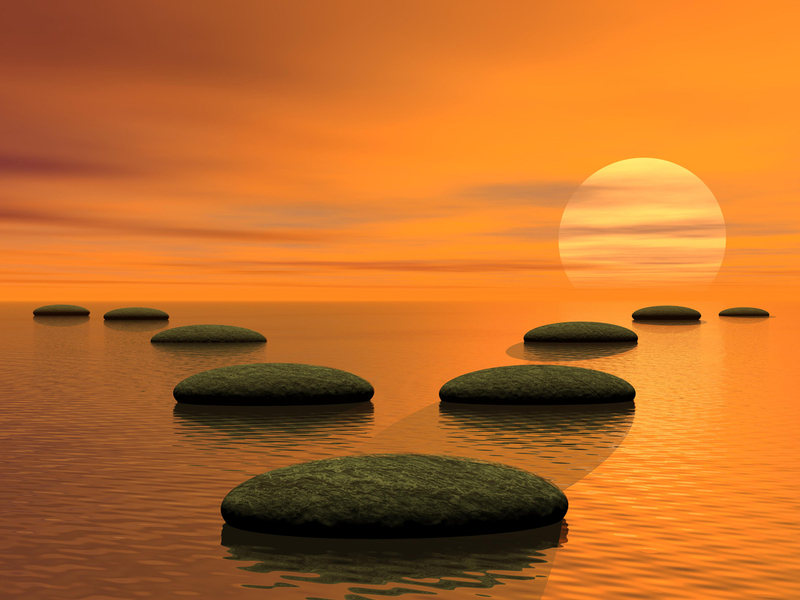 Where some see uncertainty, others see opportunity. It’s all about knowledge, experience and risk tolerance. Houston natives know a little flooding here and there is inevitable. The wise understand 51 inches of rain is an absurd anomaly. Flood damage is fixable. Everything will be new; and, who doesn’t want to live in a nicer place? One thing is certain, transaction volume will increase, and there will be multifamily deals to be found as we continue dig out from Harvey. Hurricanes are fact of life along the coast. We continue to find new and improved ways to prevent losses, mitigate risks and improve outcomes. The weather forecasting for Harvey was remarkably accurate allowing people to prepare the best one can for something as massive as Harvey. Harvey will be studied for years to come and when the next one comes, outcomes will be even better. In the meantime, we will continue to make it a Better World. If you need help managing your apartment properties through the recovery process, would like to discuss the impact of Harvey on the multifamily market in more detail, or explore apartment investment or disposition opportunities, please feel free to call our offices. 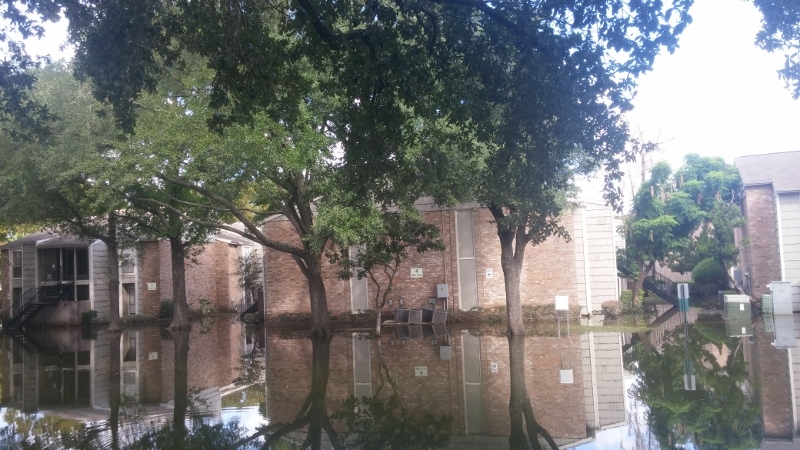 Even in the midst of natural disaster, we love to talk about apartments.